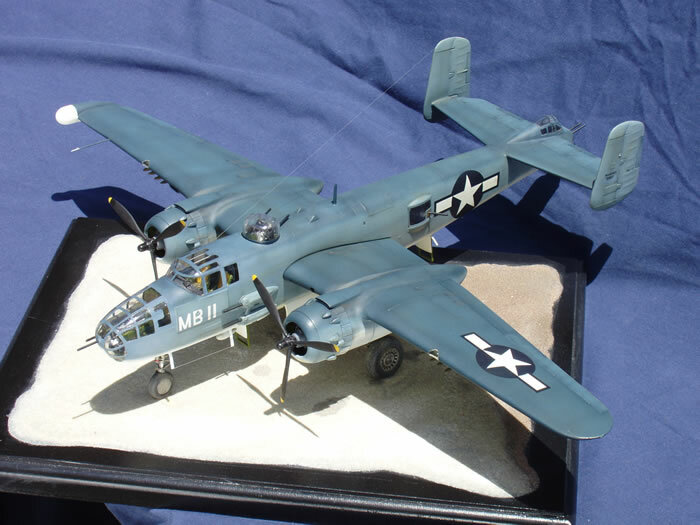 This model is the Monogram 1/48 glass nose B-25J Mitchell. 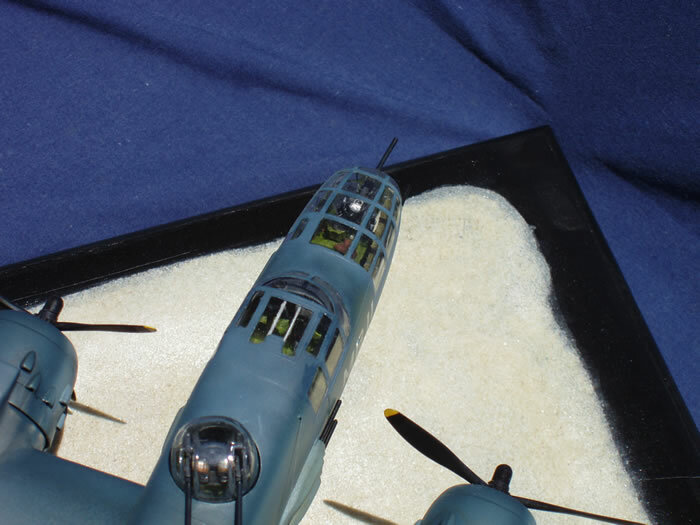 It was built mainly out of the box with some added homemade detailing in the bombadier compartment, cockpit, waist section and gun turrets. Gun barrels were replaced with telescoping brass tubing. 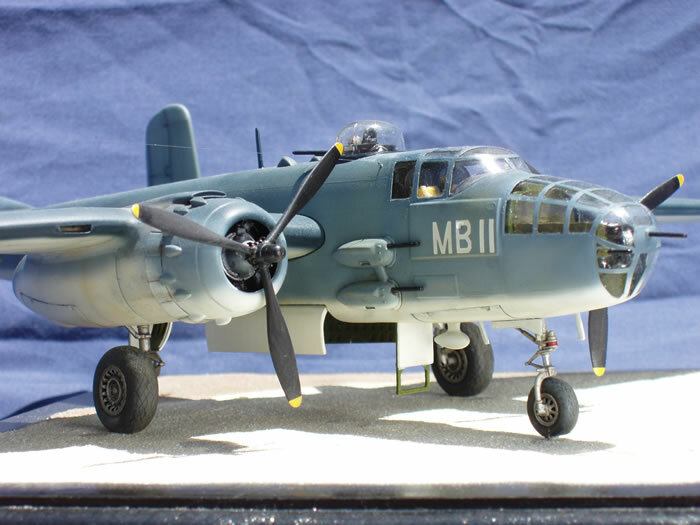 Wing tip radome, 5" HVARs and small exterior details were added following scale plans and photos in Jerry Scutt's "PBJ Mitchell Units of the Pacific War". Paint is all Model Master enamels mixed to get a sense of sun fading and wear. 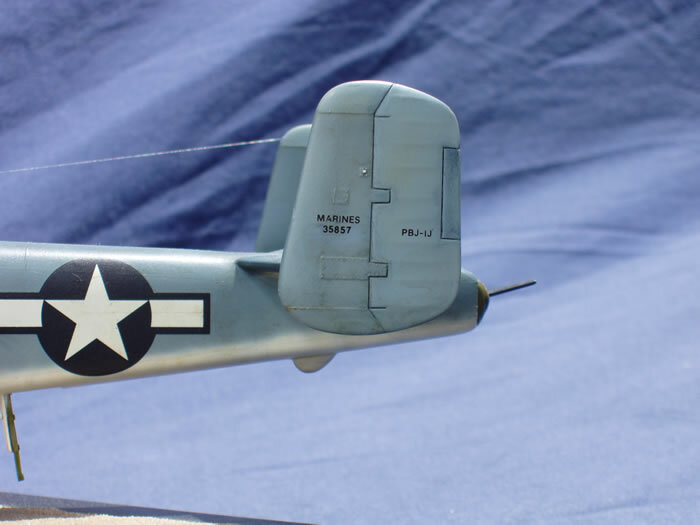 Markings are a combination of kit decals, decal stash and custom. 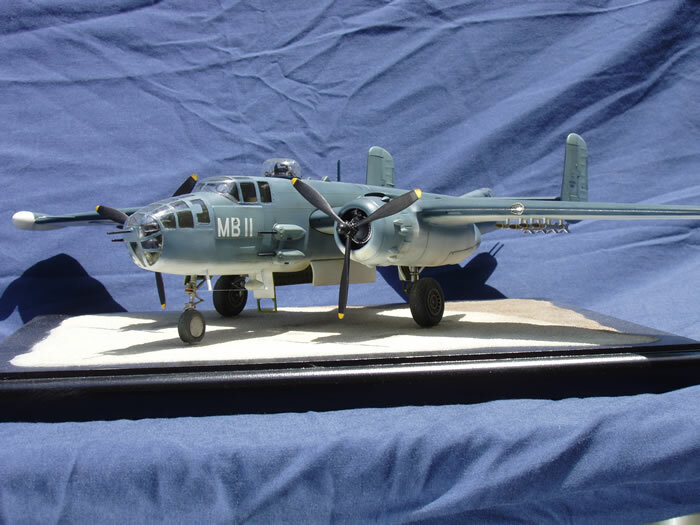 Markings are of White MB-11, a USMC PBJ-1J of VMB-611. BuNo 35857 on the tail is the actual number of the PBJ that is being restored by the Commerative Air Force wing in Camarrillo, CA.